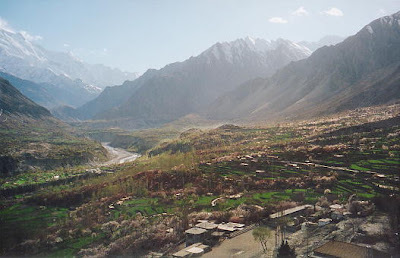 MIR ALI, PAKISTAN -- A suspected U.S. missile strike killed three people Saturday in a northwest Pakistani tribal region where insurgent groups focused on fighting U.S. troops in Afghanistan are concentrated, two Pakistani intelligence officials said. The missile strike apparently was the latest in a lengthy campaign of such attacks by the United States, which rarely discusses the covert program but has said in the past that it has taken out several top al-Qaeda operatives. Pakistan publicly opposes the strikes but is thought to secretly assist in the operations. Saturday's strike occurred in the Babar Raghzai area of North Waziristan and also wounded two people, the officials said. The identities of the dead were not available. The officials spoke on the condition of anonymity because they are not authorized to talk to the news media on the record. The area targeted is used by militants from two major factions that are battling U.S. and NATO forces in Afghanistan -- the network of Afghan insurgent leader Siraj Haqqani and the militants of warlord Hafiz Gul Bahadur. U.S. missile strikes in North Waziristan are sensitive largely because Pakistan has a truce with Bahadur. He agreed to stay on the sidelines as the Pakistani army has waged an offensive in South Waziristan against the Pakistani Taliban, a group that has focused on attacking the Pakistani state. Missile strikes on his territory could endanger that deal, analysts have said. However, the United States has indicated in the past that it will not hesitate to launch the drone-fired missiles if it tracks down an important target. 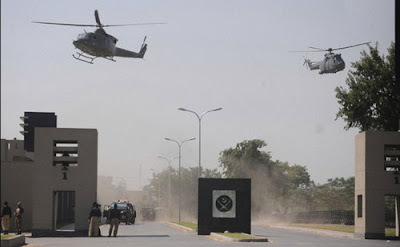 The South Waziristan ground offensive was launched in mid-October, but many leaders of the Pakistani Taliban are thought to have fled to other parts of the lawless tribal belt -- including North Waziristan and the Orakzai region. Information from the conflict zones is difficult to independently verify because of restricted access. The operation in South Waziristan has coincided with an increase in militant attacks in Pakistan, putting the country on edge as more than 500 people have died since October. An explosion caused by a firecracker Saturday rattled the southern city of Karachi, wounding 19 people as a group of minority Shiite Muslims staged a procession nearby for the Islamic holy month of Muharram, officials said. Also Saturday, a local government official said the Taliban had beheaded a tribal elder who had fought against them in the Bajaur region. The remains of 45-year-old Gul Mohammad were found in Mamund town near a road, Faramosh Khan said.